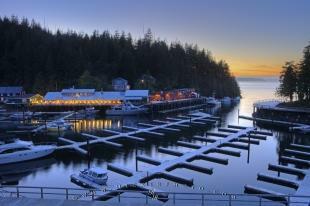 RSS Feed for keyword: "Telegraph Cove British Columbia Photos"
Visiting Telegraph Cove on Vancouver Island, British Columbia, otherwise known by the locals as "The Cove", is a unique Northern Vancouver Island experience. It had It's beginnings as a telegraph relay station in the early 1900's and has since been the location of a salmon saltery as well as a sawmill. 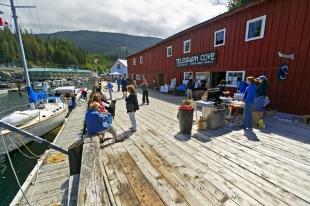 Today however, Telegraph Cove is a mecca for tourism, and holds the distinction of being the location of the first whale watching company in British Columbia. Interesting Photo galleries related to "Telegraph Cove British Columbia Photos"
Activities available from Telegraph Cove include some of the best whale watching in BC, bear watching, kayaking, Fishing Charters, and much more! The road to Telegraph Cove is now fully paved, making an already scenic trip even more pleasant and enjoyable for RV and car drivers alike! Make sure to read this story about whale watching in BC, British Columbia.